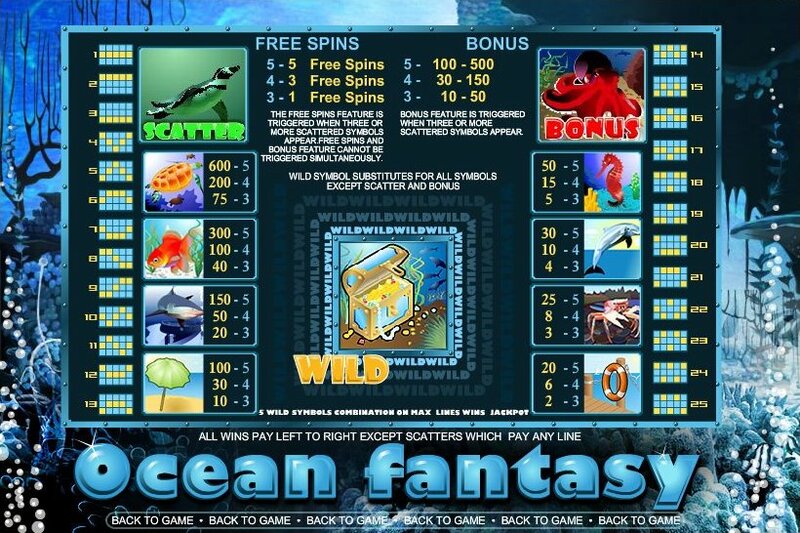 Overview: Ocean Fantasy 25 Lines video slot offers many options to win repeatedly. Hit 5 Scatter Divers and win 15 free spins; hit 5 Treasure Chests to win up to 2000 coins! Hit 5 or more combinations of the Wild Sailing Ship and win the Jackpot! 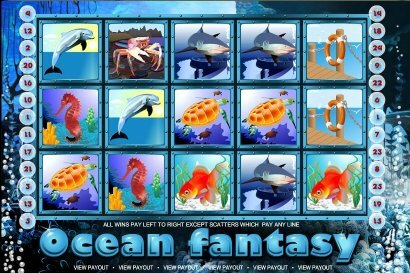 Similar Slots: If you like Ocean Fantasy, you might like these other slot machines from Top Game: Bee Land, Bingo Slot (25 lines), Black Diamond (25 lines), Daytona Gold, Fruit Slot (25 lines), Glamour.